1. Have an upper manager stop in at the first meeting of a special project team and express his or her appreciation of the member’s involvement. 3. Send letters, emails or make office announcement to every team member at the conclusion of a project, thanking them for their contribution. Consider thanking the team thanking the team members’ families, as well, if the team effort was significant. 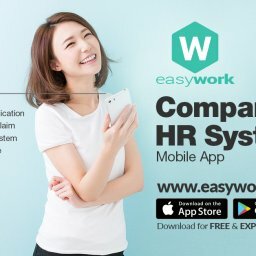 Office announcement can be made by EasyWork as well. 4. When individuals present an idea or suggestion, thank them for their initiative and contribution. Encourage involvement in the group’s goal-setting process, problem-solving, brainstorming, etc. 5. Invite upper management to attend a meeting with the team during which individuals ask questions and the group is thanked for its efforts. 6. 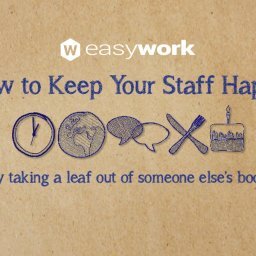 Using EasyWork reward system to allocate reward points to peers who have accomplished your request as an appreciation. The accumulated points can be used to redeem reward items from the human resource department. The team members will appraised and announced on the system in office about their hard work. They can also claim the reward items they desired. 7. Have members of the team create awards for each other. Invest in team mementos and symbols of a team’s work together, such as T-shirts or coffee cups with a team motto or company logo. 8. Conduct team-building activities and field trips, such as real human PUB-G war field, bowling, laser tag, visit to a state fair, “popcorn lunch”, or a team challenge or contest against a group goal or another team and awarding a holiday trip for the best performance team.